At Missouri, real-world media experience is part of the curriculum. The first school of its type in the world, the Missouri School of Journalism educates students for careers in journalism, advertising and other media fields by combining a strong liberal arts education with unique hands-on training in professional media. AdZou is a full-service agency staffed by the nation’s brightest strategic communication students at the renowned Missouri School of Journalism. It’s based on the “Missouri Method” of learning by doing. Directed by public relations, advertising and marketing professionals, graduating seniors work in small teams to bring fresh perspectives to their research-based campaigns for real companies or organizations. The Columbia Missourian is a digital-first publication that was founded in 1908 as a community newspaper. It regularly beats out the St. Louis Post-Dispatch, Kansas City Star and Columbia Tribune for state journalism awards. Many of its alumni now write for leading newspapers, magazines and websites. Others are working as photographers, designers, graphic artists, copy editors, Web developers and the like. As journalism has changed, so has the Missourian. Although its print edition publishes five days a week, the Missourian family of publications is a 24/7 operation. The new digital tools of our age allow students to work with a completely new model. Digital is the language of the present, and the Missourian’s mission is to prepare tomorrow’s leaders in journalism. ColumbiaMissourian.com is a news site that’s updated constantly and includes video, audio and other multimedia as well as reader-friendly interactive data. Stories written by student reporters are published first online. Students write blog posts on any of eight sites featuring everything from City Council tidbits to Tigers football news. The Missourian digital suite is a membership-based service that optimizes the news for display on iPad and iPhone as well as all Android-based tablets and phones. Specialty e-books are created for special projects and optimized for Kindle, iPad or other devices, depending on content. From Readers: MyMissourian.com was the second citizen journalism website in the country. From Readers is the evolution of the ground-breaking site: It puts reader submissions in the same mix of news and discussion as other staff-created and Associated Press offerings on columbiamissourian.com. From Readers is a place where readers become the writers while our student-journalists serve as editors and guides. The best pieces are published in the daily print edition of the Missourian in a unique collaboration between traditional print and digital platforms. The Global Journalist covers global issues and the challenges to a free press around the world. It is a converged newsroom producing digital, broadcast, print and mobile content for local and global audiences. 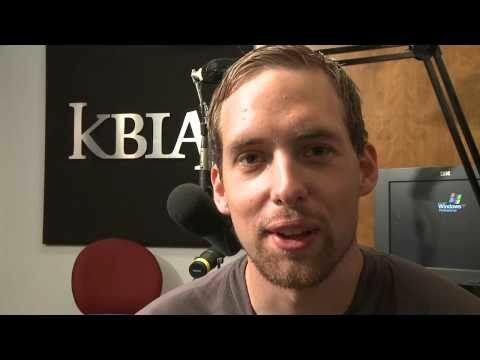 KBIA-FM is mid-Missouri’s NPR-member station. Students produce stories with audio, video and text for the website while also producing traditional radio newscasts and long-form stories. The station is owned by the University of Missouri and is one of the most successful public radio stations in the nation. Radio-television and convergence journalism students cover events, write stories and air newscasts on KBIA. Students work under the direction of faculty and staff members who also work alongside students as professional broadcasters. KBIA carries programming from Public Radio International and other providers. The station serves a 70-mile listening area, which includes more than 40,000 listeners in 14 counties. KOMU-TV is the only university-owned commercial television station and major network affiliate in the United States that uses its newsroom as a working lab for students. It reaches 40,000 homes in 15 mid-Missouri counties. KOMU is affiliated with both NBC and CNN. Missouri Business Alert is a digital newsroom that publishes the top business news from across the state. MBA is managed by professionals and staffed by Missouri School of Journalism students. The site regularly features hard-hitting and timely articles and video presentations from a statewide perspective. For more information, visit the Missouri Business Alert website. Mojo Ad is the premier student-staffed professional-services advertising agency in the country. The lab offers real-life work experience to students attending the Missouri School of Journalism. With our specialization in all things young, MOJO Ad works with local, regional and national clients whose brands target teens and young adults. With an ear to the underground and an eye out for the unique, Vox brings mid-Missourians an analysis and reflection of contemporary issues with useful and provocative articles. The magazine profiles the human condition, exposes local culture and provides reviews, tips and trends that tell readers what’s happening and where to be.